Festival goers can look forward to the chance to sample 60 beers and ciders from eight Minnesota breweries and seven home brewers when the Fourth Annual Harvest Moon Brew Fest returns on September 9, as well as an exciting lineup of live local musical acts and food offerings from popular restaurants. 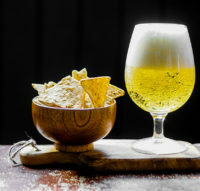 The Brew Fest, at the historic Aitkin Butler Building, will see the return of Minnesota craft beers, ciders and local home brews from many participating beer brands from past years, including Jack Pine Brewery, Surly Brewing Company, Big Axe Brewery, Sociable Cider Werks, Castle Danger Brewing Company, Cuyuna Brewing Company, Roundhouse Brewery and Glacial Lakes Brewers, as well as for its first year ever, the debut of Sapsucker Farms Yellow Belly Cider. Food will be offered by The Beanery and Paulbeck’s County Market, who will be featuring their delicious bratwursts. Hammerschlagen, a German game dating back to 1940, where several contestants attempt to hammer nails into a stump, will once again return with proceeds going to Sylvia’s Children, a non-profit supporting children in Uganda. There will also be fantastic live musical performances from artists such as the French Hillbillies and acoustic artist Larry Fontaine. Presented by Glacial Lakes Brewers, the rain-or-shine, 21-and-over event will be held once again in the parking lot of the Butler Building from 3 to 6 p.m., with a special 50-person VIP session taking place between 2 and 3 p.m. The cost to attend is $20 in advance or $30 on the day of the event. VIP tickets are $40 in advance and $50 day of the event and $7.50 for designated drivers. Tickets are on sale now at the Aitkin Independent Age, The Beanery, Security State Bank and online at https://tickets.beerfests.com/event/harvest-moon-brewfest. Sponsors for the festival include Security State Bank, the Aitkin Independent Age, Culligan Water, Brandl Motors, Allen Consulting and Paulbeck’s County Market. 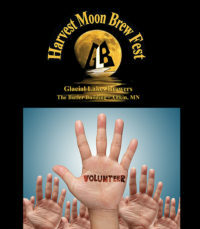 For more information on the Harvest Moon Brew Fest, contact Sylvia Allen at (218) 678-2441.